Attention, cat lovers! 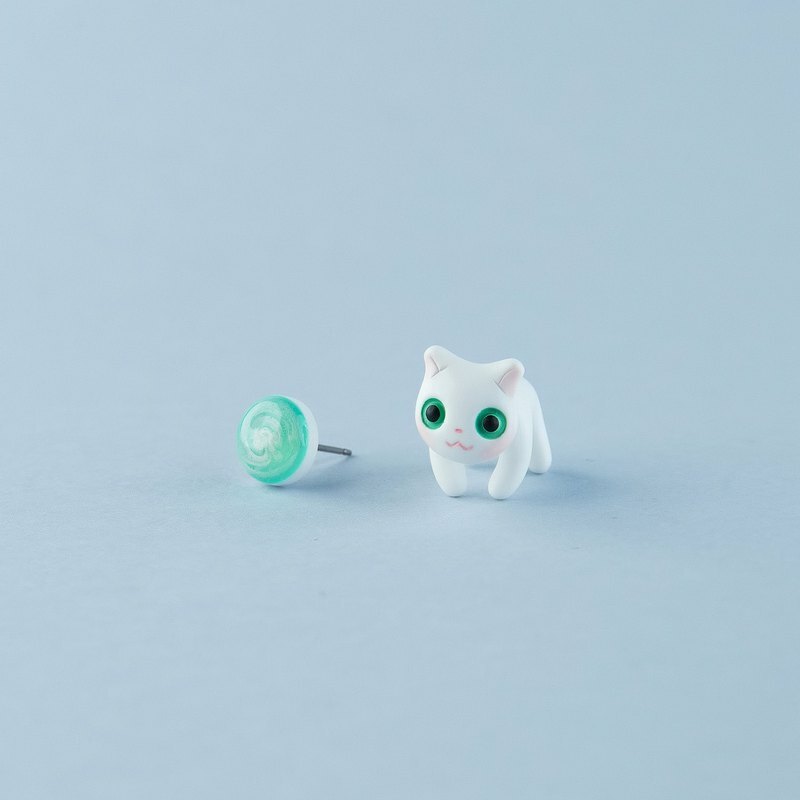 We know your love of adorable kitties has no bounds, so why not show it off for the whole world to see with our original kawaii-style cat earrings! These little cuties are designed in-house and are completely handmade from start to finish. Since each kitty is made by hand, every pair of is unique and original. These are the cutest earrings you will ever own! The ‘fake plugs’ look adds just enough edge. https://live.staticflickr.com/7915/33644366358_e42f159b94_o.jpg ✔️ CHOOSE YOUR STYLE: 1️⃣ One cat earring (no stud): One kitty. One ear. One cool cat. 2️⃣ One cat earring + one stud: Opt for asymmetrical style with a kitty in one ear and a stylish matching stud in the other! 3️⃣ Two cats (no stud): When one cat just isn’t enough. WARNING: for serious crazy cat ladies (and gentlemen) only! Choose from a variety of styles and themes! We offer permanent collection items as well as limited edition and trendy pieces. 📣 CARE INSTRUCTIONS: ◾ Our earrings are made of high-quality, durable polymer clay and are strong enough to resist a fall from human height, but please try not to drop them. Multiple falls may damage your adorable new earrings beyond repair, so treat them with care. ◾ If needed, wash gently with soap and water. DO NOT USE ALCOHOL. ◾ Gently dry with a towel or napkin. DO NOT RUB ◾ Unicorn earrings feature a fragile horn. Handle with extra care. 🐈 CUSTOM ORDERS: Ever wondered what your favourite celebrity would look like as a cat? Want to turn your real life pet’s adorable face into wearable art? Love having fun with colour? Give us a shout! We’d love to create a custom kitty just for you! 🎁 P.S. Personalized jewelry is the perfect gift! ©2010 - 2019 catmadecom. - All designs, photos, and descriptions are copyright of catmadecom. And photos may not be used without prior written permission.